Design features by luxurious friezes for lovers of exquisite decorations cleverly conjugated with the forms of the object to customize. The fine weaving along the full band is designed and inspired by the stucco friezes that decorated the czars imperial palaces in Russia of the nineteenth century. 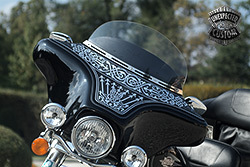 For all lovers of precious decors cleverly married with gold or silver shades on a dark background. 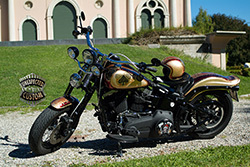 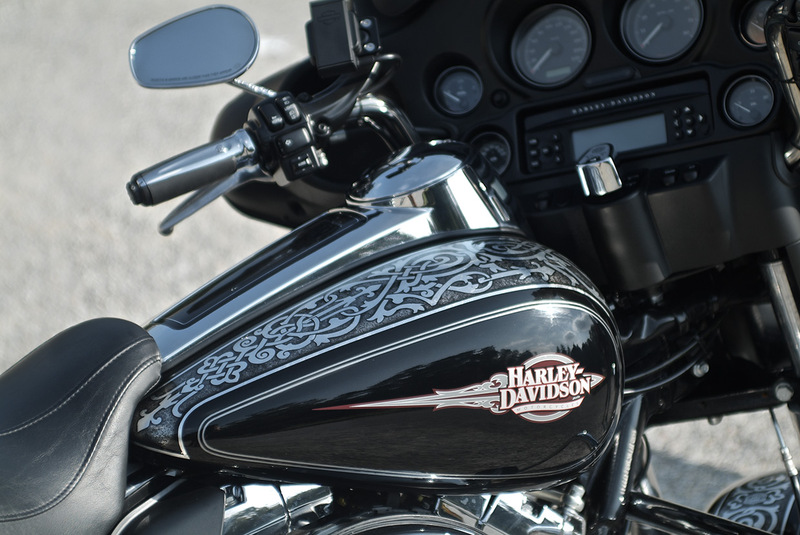 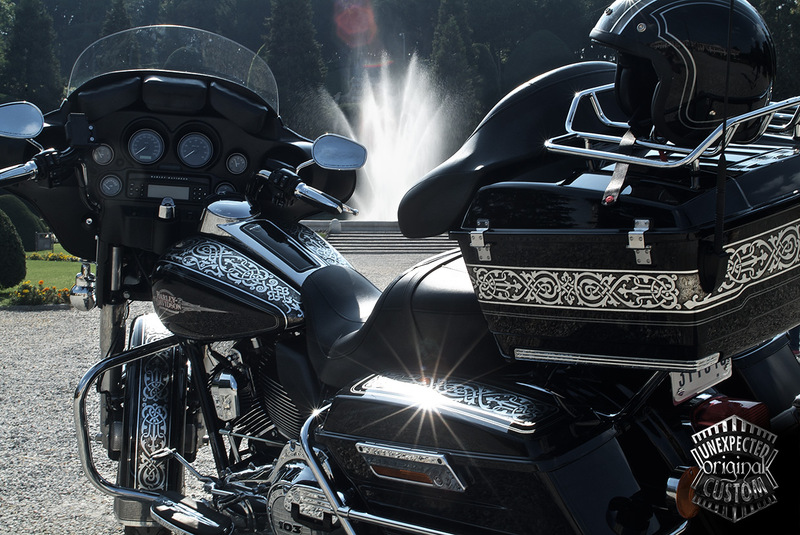 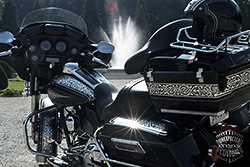 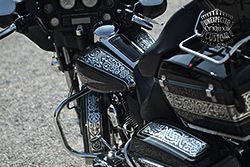 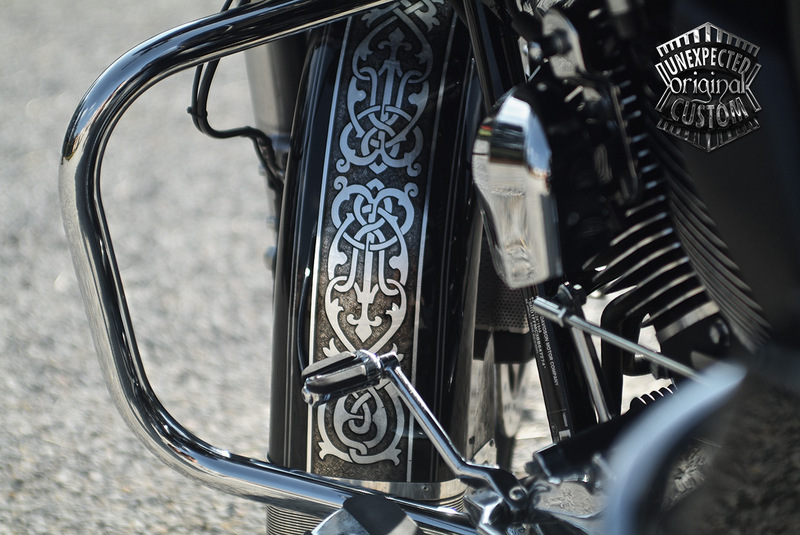 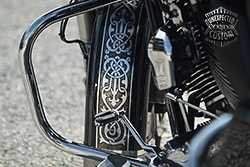 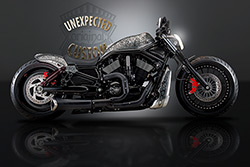 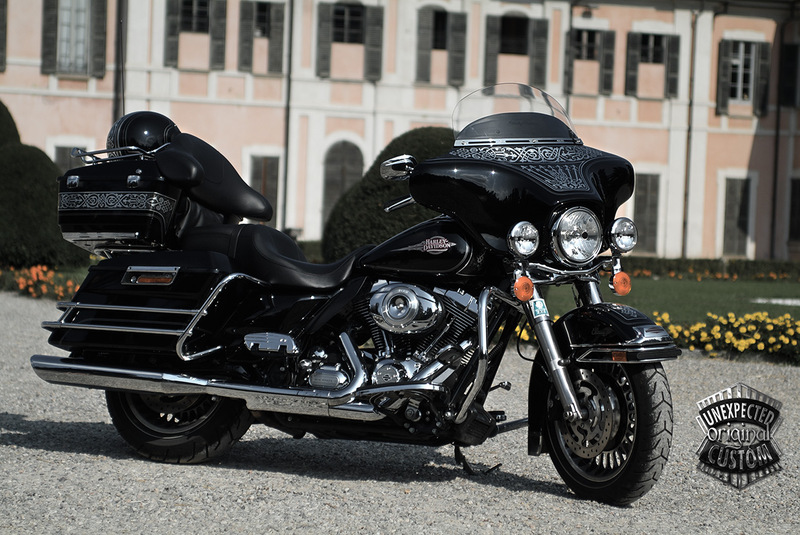 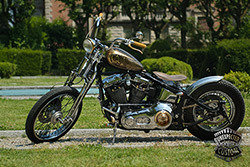 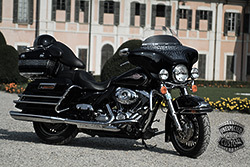 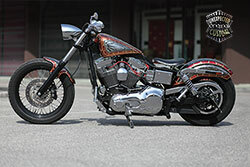 The luxurious frieze is made of silver leaf and worked with airbrush and special techniques in black and enhances the beauty of this Harley Davidson Electra Glide. 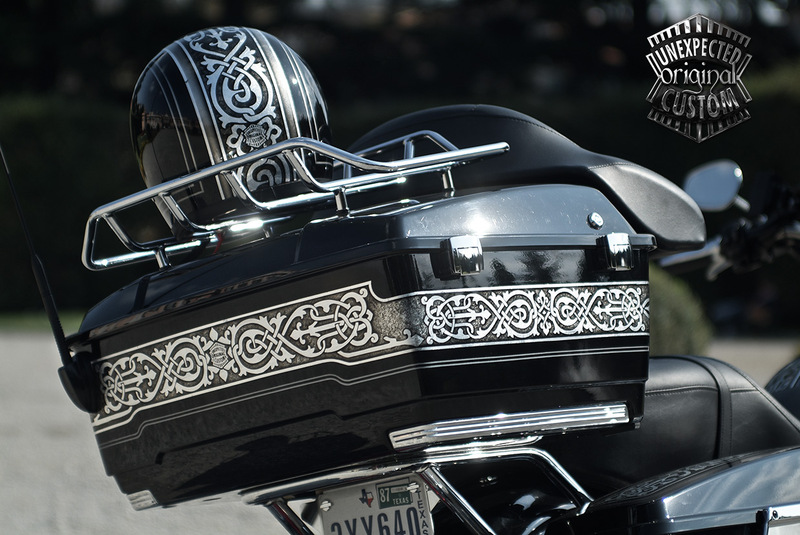 Complex monochromatic realization to give more value to the cold metal. 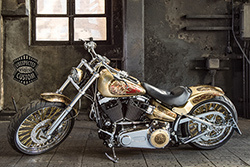 Silver leaf, airbrush, special techniques.